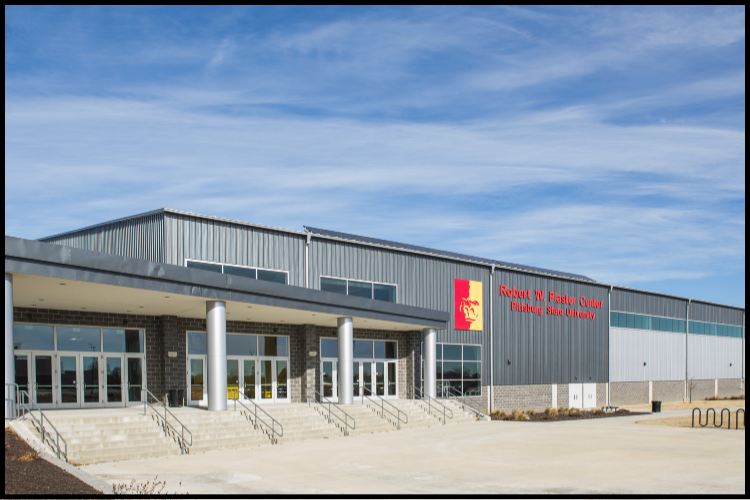 The Robert W. Plaster Center at Pittsburg State University is a state-of-the-art facility that will host a variety of university and community events. The 154,000-square-foot facility includes a 100-yard turf field, an 11,000-square-foot modern strength facility, a 300-meter track and seating for up to 1,500. It will also include locker rooms for men’s and women’s track & field and football, offices and meeting rooms.